Sigma Force is a division in DARPA. The Defense Advanced Research Projects Agency is a real agency of the United States Department of Defense “established in 1958 to prevent strategic surprise from negatively impacting U.S. national security and create strategic surprise for U.S. adversaries by maintaining the technological superiority of the U.S. military”, according to its official website. This means that it seeks out any scientific development to see how it might be used to help the country or, if it is dangerous, how it might be countered. 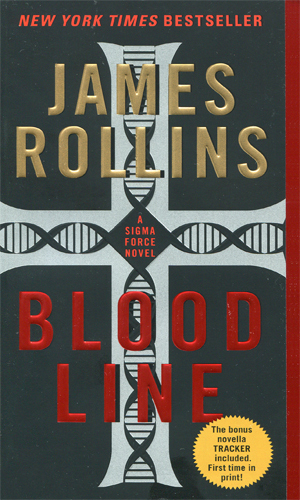 The SIGMA Force division is referred to by the author as "killer scientists". Each member of the Force is a highly trained operative who also happens to be a skilled scientist, specializing in various disciplines to have the expertise to handle whatever comes up. The rationale behind the Force is the ever-expanding scientific breakthroughs, many of which could have devastating effects on the world is they fell into malevolent hands. It is the task of the members to try to keep that from happening and, when it invariably does, to find a way to resolve matters. 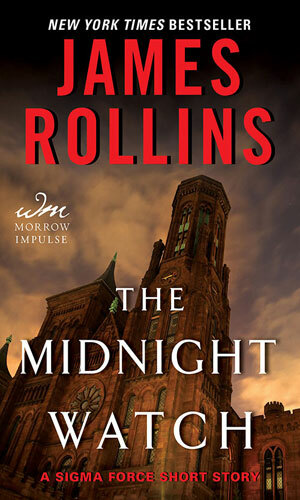 As the series starts, the lead agent for the group is Painter Crowe and he is the star of the first book. At its conclusion, he is promoted to running the division and from that point, his colleague, Grayson Pierce, is the primary agent in the field. Crowe is definitely management material as he has a keen analytical mind that sees beyond the obvious facts and puts the pieces together quickly. 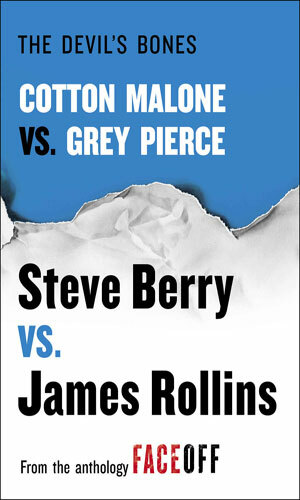 Pierce, no slouch in the brain department, is more of a man of action and seems to have more an emotional attachment to his work, or perhaps because he is the star for more adventures, it just seems that way. 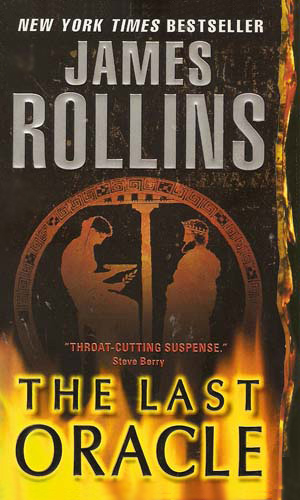 The curator of a mysteriously-destroyed museum and her friend and financial backer head into the Arabian desert in search of a lost city. 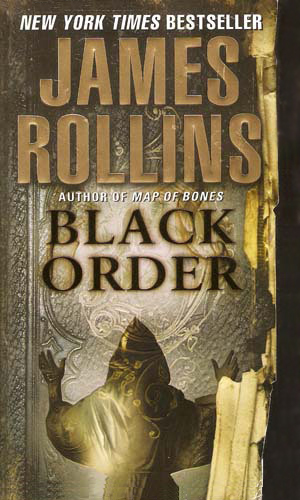 Also heading in that direction, seeking a traitor, is Painter Crowe. A massacre in a German cathedral by gunmen dressed in monks' robes preceeds the theft of bones believed to have been the Magi. 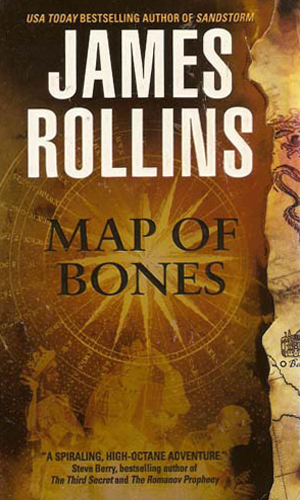 Grayson Pierce leads a team to investigate, a trip that will take them through the Seven Wonders of the World. German experiments during WWII have surfaced and those seeking clues are marked for death by those wanting the answers secret. Director Painter Crowe is succumbing to whatever the danger is and Grayson Pierce must race to find the truth. 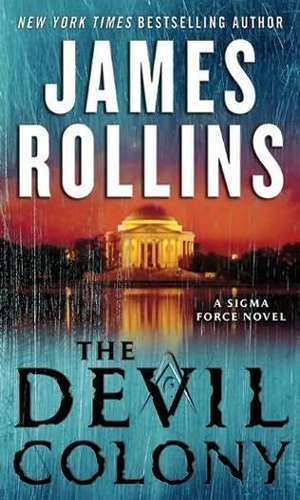 The lead agent of Sigma Force, Grayson Pierce, joins with a beautiful assassin, who had already tried to kill him, to find the solution to a man-made pandemic, following in the footsteps of one of the most famous explorers in history. A scientific think-tank called JASONS has found a way to bioengineer autistic children with savant talents, seeking to be able to create at will the next Einstein or the next Buddha. Sigma Force must find out why an experimental sgriculture facility in Africa has been attacked and everyone killed. Somehow a material taken to England by ancient Egyptians is the key. The discovery of mutilated bodies in an Indian cave in the Rockies, laid out in a star and a partial moon, tells Painter Crowe more than just a massacre happened. 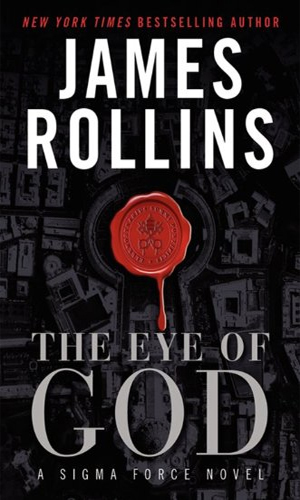 He knows they are a clue to a plot that could unbury a hidden truth which would bring down major governments. Gray Pierce is heading to the Horn of Africa to assist in the rescue of the President's pregnant daughter, held by Somali pirates. He suspects there is more to the story and that is confirmed when a link to a bombing at a South Carolina fertility clinic is made. A crashed research satelitte with a mysterious science project dealing with dark matter lies somewhere in Mongolia and Sigma Force is sent to retrieve it. Somehow it is connected with an ancient book written on human skin that has been delivered to the Vatican. Croatia is the site of a new discovery - an underground Catholic chapel from long ago which contains the bones of a Neanderthal woman as well as wall drawing showing a battle between that extinct race and strange, scary shadowy figures. A missing British archaeologist is found in the desert of Egypt, dying soon after. His body is itself a mystery for he seems well on his way to being mummified. 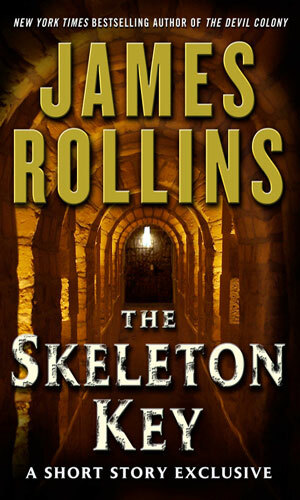 After his body is sent to London for study, those back in Cairo fall ill. That is the start of an adventure that will bring in assassins willing to kill anyone to keep a secret. The explorers who discover the creatures on an island off Brazil have never seen such horrific things in their lives but their lives do not last much longer. 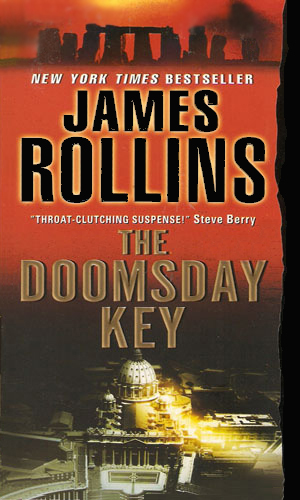 The lone survivor warns of doom which brings Sigma Force into the mystery. Seichan awakens in a hotel in Paris with an electronic collar around her throat. To be free she is told to rescue the son of a person she had great reason to hate. 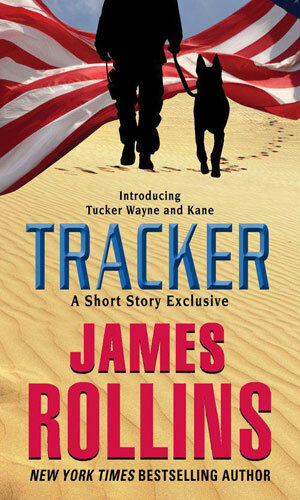 Tucker Wayne and his dog, Kane, are in Budapest when a woman, fleeing three armed men, runs into him. Wayne decides to help but that drops him and his canine companion into a crime dating back to Nazi Germany. A biologist is trapped inside the Museum of Natural History and Sigma Force says operative Joe Kowalski to do whatever it takes to exact a rescue. 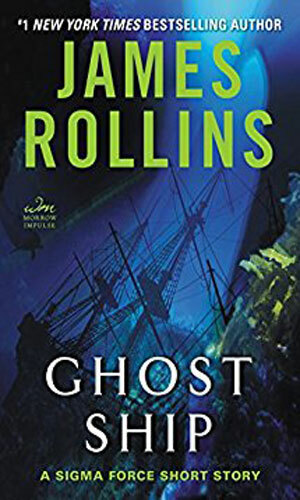 Gray Pierce is on vacation in a remote Australian beach when the discovery of a burned body gets him involved in the search for a missing convict ship from centuries before. 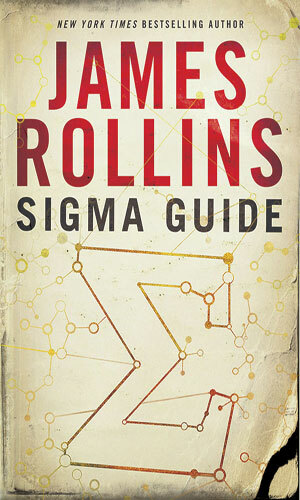 According to the author, this is "a comprehensive and detailed journal that is full of details, factoids, summaries, and NEW information about the Sigma universe." I have been a techno-junkie since it first started back in the early 80's. Most of those adventurers mixed military hardware with cloak-and-dagger activity. 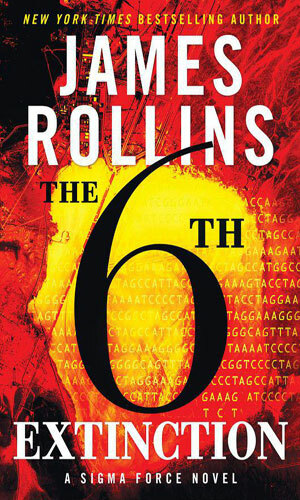 Mr. Rollins has given the readers a new form of techno-thriller, replacing planes and subs with science. Throw in a good dash of the mystic (I hesitate to use the world occult as that gives off an incorrect connotation) and you have a series with a lot of excitement with enough realism that you end up thinking, "I hope he just made that up!". 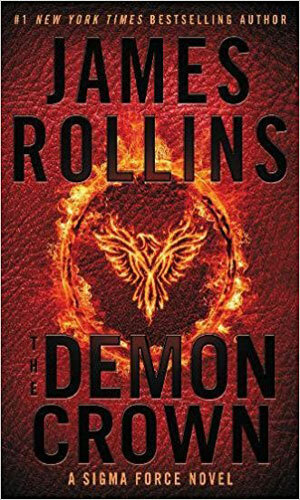 I expect to be enjoying Mr. Rollins' SIGMA Force adventures for some time. 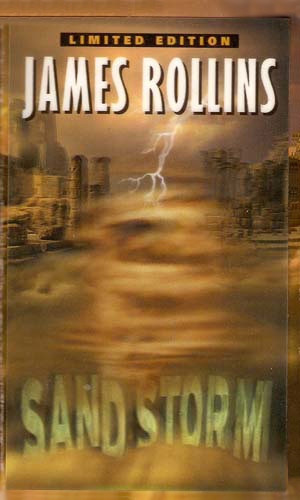 I liked Rollins from the first, and certainly after the Alistair Maclean like Ice Hunt, but with Sandstorm the prequel to the Sigma Force series he took me over the edge. 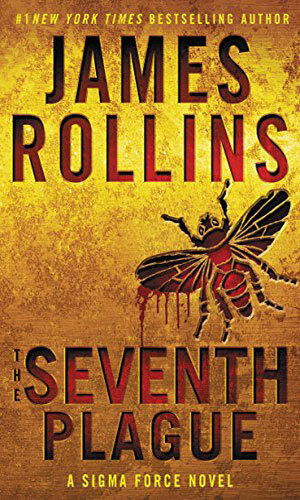 These are high octane intelligent and playful thrillers with outlandish plots often based on damn good science. 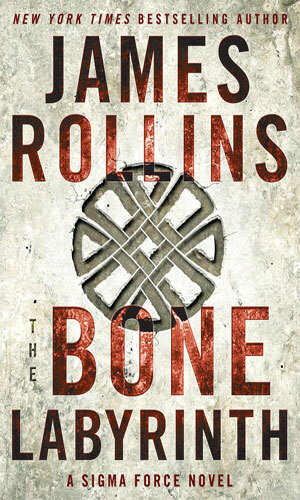 It is always a pleasure to see what Rollins will come up with next. 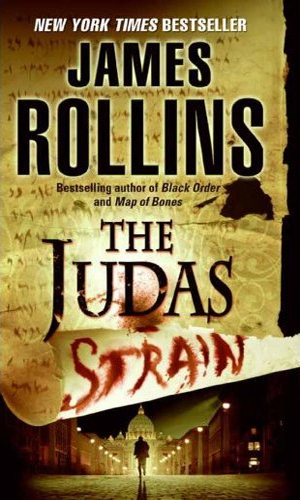 He is likely my favorite of todays thriller writers.